Kerry Katona is ''proud'' of how she copes as a lone parent but admits it can be hard. 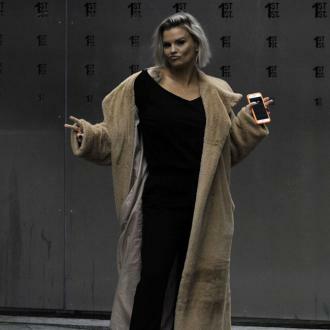 Kerry Katona needs a ''break'' from her kids. The former Atomic Kitten singer - who has Molly, 16, Lilly-Sue, 15, Heidi, 11, Max, 10, and four-year-old Dylan-Jorge from previous relationships - is very ''proud'' of the way she copes as a lone parent but admitted it can be difficult not having a lot of support close by. She told Now magazine: ''I'm really proud of myself. ''I live in a six-bedroom, three-storey house down south on my own where I have no childcare. ''I've started to make a network of new friends and they help me out with the children from time to time but there are moments when I sit in my bathroom and think, 'I just want a break'. Despite the relationship dramas she's experienced in her life, Kerry no longer blames her former husbands - Brian McFadden and Mark Croft and estranged spouse George Kay - for any of her problems. She said: ''I've learned to let go of things. ''I could blame Brian for leaving me or Mark for making me bankrupt... and for so long I actually did, it was everyone's fault but my own. The 37-year-old star - who has spoken candidly about her drug use in the past - thinks she is lucky to still have a youthful look and admitted she's not keen on the idea of cosmetic surgery. She said: ''I'm blessed to have always had a baby face. ''Considering the amount of s**t I shoved up my nose 10 years ago, it could have gone either way.